You are on your way making a crossbow by first boiling water in a large pot. Once the water starts bubbling, reduce the heat and dip in 2 skewer sticks. Let them get heated for 45 minutes. After 45 minutes, the skewers will become soft. Slowly turn them into a bow shape. Make use of clamps to keep them in the crescent shape, till the sticks dry. If you do not have clamps, use a duct tape to paste them onto a cardboard while they are in a crescent shape. Duct tape each skewer together one above the other. Take four square wooden chopsticks and duct them together. Make a slot in the taped set of chopsticks in the same width as one of the skewers, a few centimeters deep. Take a half inch piece of string and wrap it around both the ends of the skewers and apply hot glue so that the string sets into the right place. Tie a circular loop on both ends of the string. Keep the loops over the stuck piece of string, wrapped around the skewers. Duct tape a pin to the chopsticks in such a way that the teeth part is facing the bow. The clothes pin should be kept on the opposite ends of chopsticks. 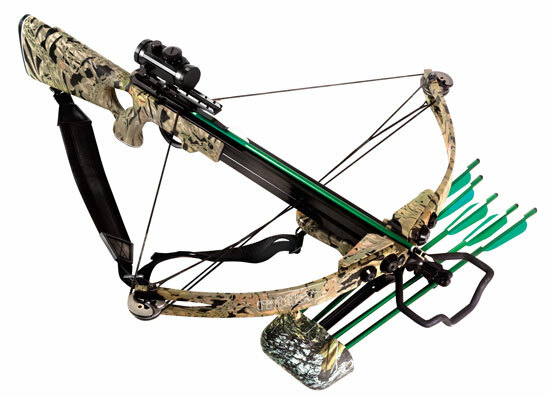 You can also make your crossbow arrows. To do so, get toothpicks and place and place ‘flags’ on one end. You can make these from duct tape or paper. Paste the flags and you are ready to target practice.